A sermon preached at St. Andrew's On-the-Sound Episcopal Church in Wilmington, NC on February 2, 2014. The texts were Malachi 3:1-4, Hebrews 2:14-18 and Luke 2:22-40. Today’s feast day is certainly a mouthful, isn’t it? The Presentation of Our Lord Jesus Christ in the Temple. Throughout history, and in other Christian communions, this feast has different names: The Presentation of Jesus in the Temple, the Feast of the Purification of the Virgin, the Meeting of the Lord, and reflecting traditional Anglican usage, Candlemas…which, for those interested, is also the name of a phenomenal heavy metal band from Sweden. But that’s neither here nor there. 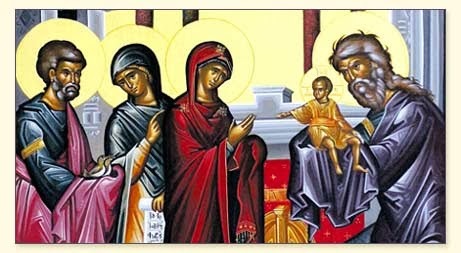 The feast has many names, and with them come a variety of traditions, but they all point to the same act: 40 days after his birth, Mary and Joseph presented Jesus at the Temple, following Jewish purity laws, in order that Mary might be declared ‘ritually clean’. We don’t think much about becoming ‘ritually clean’ any longer, which makes it easy to overlook the significance of this act. This was the first time since giving birth that Mary and Jesus could touch anything deemed sacred and approach the Temple that housed the Holy of Holies, that seat of God’s presence in the midst of the people of Israel. For a pious family, this day was full of deep significance and an occasion for great joy. 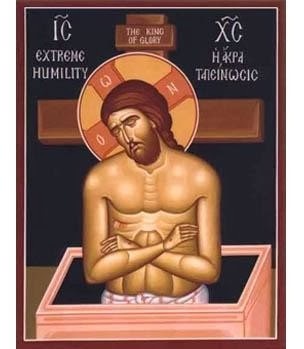 Mary and Jesus could now be in the presence of the ‘sacred’, which is a bit ironic, isn't it, for those of us on the ‘backside’ of this story who understand Jesus to be the one in whom ‘the fullness of God is pleased to dwell’. But that part of the story hadn't become fully clear yet, and so this family follows the law and makes an offering for the cleansing of Mary. Interestingly, history shows us that another ‘cleansing’ gave rise to this feast day as a Principal Feast. 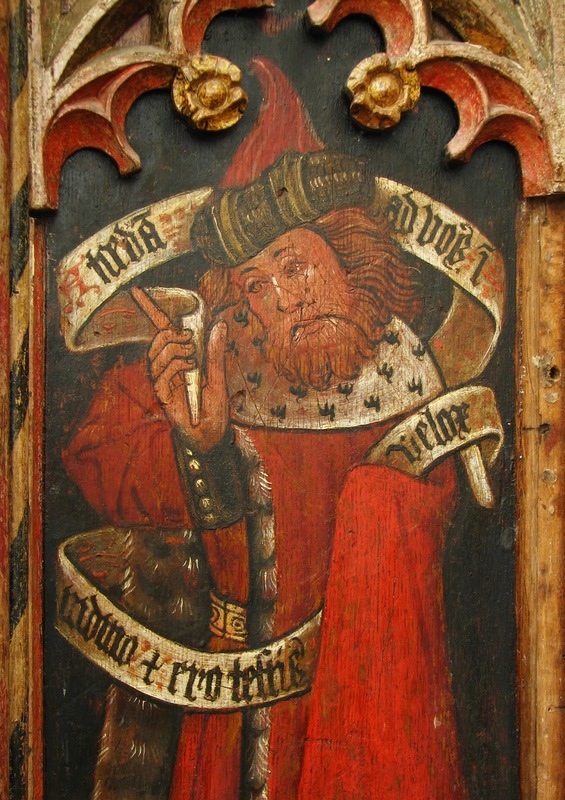 As the Christian Calendar took shape in the early centuries, it seems this feast day was a secondary feast, not as prominent as the Nativity or an Easter celebration. We have records of sermons being preached on this occasion as far back as 312 CE. Yet, it wasn’t until the 6th Century that this feast became so prominent. The year was 541 CE, and a great plague swept through the city of Constantinople, the major seat of Eastern Christianity at that time. Thousands became caught up in this wave of death, and the city was in tumult. 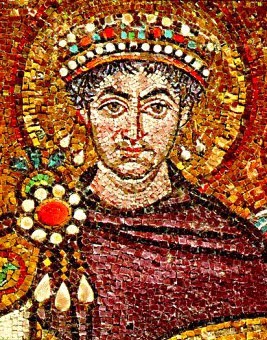 In consultation with the Patriarch of Constantinople, the Emperor Justinian I declared a time of great prayer and fasting and, on the day of this particular feast, ordered processions of prayer and hymnody to move throughout the towns and villages, culminating in a solemn prayer service asking the Lord for deliverance from the plague, pestilence, and death. And, as fate would have it, the plague ceased, and the very next year, the feast was elevated to greater prominence and was established as a major feast throughout the Empire. This self-examination seems appropriate given our reading from the prophet Malachi today. Possibly written during or in response to the troubles that occurred during the reign of Persian King Artaxerxes I, Malachi was a priest who was frustrated and angered by the lack of religious conviction of those worshipping at the Temple and those offering sacrifice to God. 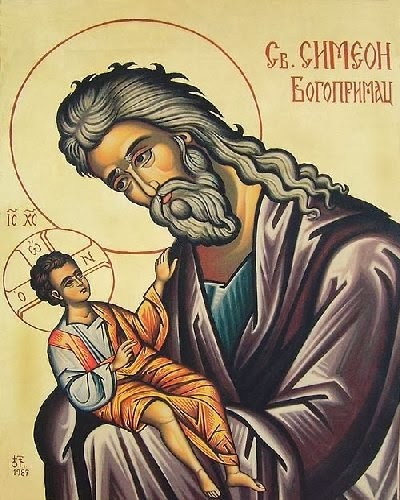 A series of dialogues between God and the people open the book, revealing a God who feels utterly disrespected by the impure motives and worthless actions of the people: “A son honors his father, and servants their master. If then I am a father, where is the honor due to me? And if I am a master, where is the respect due to me? Says the Lord of hosts to you, O priests, who despise my name.” The people of Israel, throughout the Hebrew Scriptures, go through shifting periods of piety then pitifulness, but it seems here that God can simply take no more. It was this deep truth…this almost unbelievable truth that caused Simeon to sing God’s praises and shout: “My eyes have seen your salvation, which you have prepared in the presence of all peoples, a light for revelation to the Gentiles and for glory to your people Israel.” Perhaps Simeon, not Paul, should be credited with first declaring that the distinction between Jew and Gentile, the distinction between those deemed ‘clean’ and those deemed ‘unclean’, is no longer an issue. This light, this salvation, this righteous gift is for all people because God is revealed to be one who shares in the human experiences of everyone, taking on human flesh that all of humanity may be redeemed and share in this righteousness…that all humanity might be presented as gold and silver refined to the point of brilliance, glimmering with God’s light, glimmering with God’s beauty.